« ProdMod LED Hula Hoop Workshop a Success! I was at the Maker Faire May 3-4 2008 to support two of my kits that are currently sold through Make Magazine’s website. 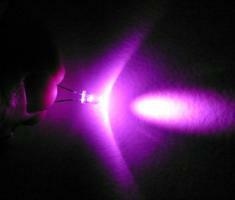 The LED Camera Light and the LED Hula Hoop. 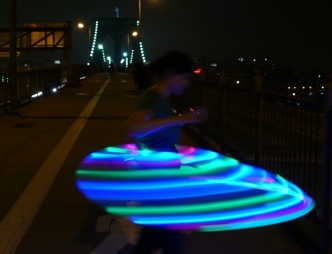 I would say the LED Hula Hoop was the big hit and we got plenty of attention just after we finished our workshop. There were about 5 hoops being built and 3 ducked out early to finish it at home. The remaining 2 finished it at the workshop and couldn’t wait to try it out. Total build time was only 2 hours. and here is a short clip of my demonstration I gave on the Make Magazine Stage courtesy of Brian Jepson from Make Magazine. 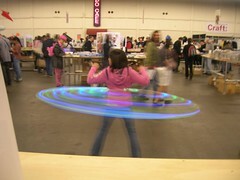 Christine Gugler from theinfinitehoop.com was nice enough to post her videos from the maker faire.